Via Eric Avakian at Dodger Blue; "Clayton Kershaw 3rd Amongst Top-Selling Jerseys Through First Half Of 2016 Season." Via Bill Plunkett at the OC Register; "Dodgers' Clayton Kershaw has return date in mind - but he's keeping it to himself." Via Dustin Foote at the NY Daily News; "Dodgers prospect who shares name with Dallas shooter Micah Johnson opens up to News." The experience put Johnson in the middle of two very different worlds. But, like his idol Jackie Robinson, Johnson refused to change his social stance. Via David Hood at True Blue LA; "Dodgers 2016 midseason top 20 prospects." Via Eric Stephen at True Blue LA; "Cole Figueroa declines outright assignment by Dodgers, now a free agent." This is a fun read. 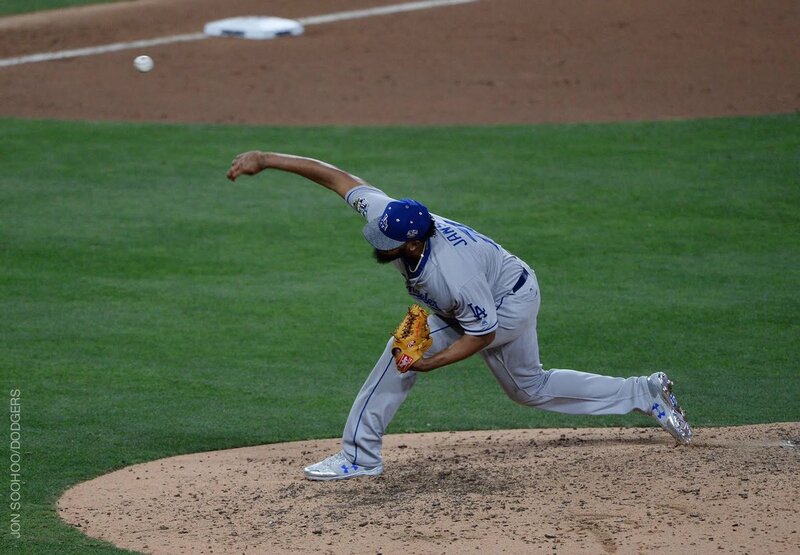 Via Phil Gurnee at Dodgers, Yesterday and Today; "The day that Clayton Kershaw embarrassed me at the futures game." Chris Long at SoCal Autograph Odysses shares his experience and a bunch of photos from the; "MLB Fan Fest and Homerun Derby." Our plan was to get Wil Myers, who was signing autographs from 9:30-10:30. After a (thankfully) brief ceremony, the ribbon was cut and people went where they wanted to go. People literally ran each other over, and sprinted to Myers' signing station. It was chaos, which seems to be a theme here. One of the security ladies literally tried to grab someone to slow them down, and was knocked back. Someone lost a shoe, another lost their sunglasses. We all lost our dignity. But damn it, we wanted Wil! Within two minutes the line was huge. The Baseball Blogger Alliance 2016 ‘Tony Gwynn’ Leadership Award winner is Oakland A's pitcher Sean Doolittle. Check out details here. Also, the BBBA announced their picks for the All-Star Game, here. Via Jess Swanson at Broward Palm Beach New Times; "After 9-Year-Old Marlins Fan Dies, Dad Spreads Son's Ashes at Every Ballpark in America." Johnny MacDougall, a blond-haired, blue-eyed little leaguer from Weston, loved baseball. He shared that passion with his dad, Dave, who took him to more than 100 Marlins games. After watching one at Camden Yards in Baltimore when Johnny was 5 years old, the pair made a pact to visit every Major League ballpark in America.